‘It was the start of the third lap of the 2010 Senior TT, the last race of the fortnight. The last chance to get a TT win for another year, and I was pushing hard. Ballagarey. The kind of corner that makes me continue road racing. A proper man’s corner. You go through the right-hander at something like 170mph, leant right over, eyes fixed as far down the road as I can see. In this book we’ll get inside his head as he stares death in the face, and risks his life in search of the next high. We’ll discover what it feels like to survive a 170mph fireball at the TT in 2010, and come back to do it all again. He’ll sweep us up in a gritty sort of glory as he slogs it out for a place on the podium, but we’ll also see him struggle with the flipside of fame. We’ll meet his friends and foes, his family, his teammates and bosses and we’ll discover what motivates him, and where his strengths and weaknesses lie. For the first time, here is the full story in Guy’s own words. From the boy who learned to prep bikes with his dad, to the spirited team mechanic, paying his way by collecting beer glasses in pubs, to the young racer at the start of his first race and the buzz he’s been chasing ever since. Guy has proved something to me that I already suspected - you don't have to be mad to race bikes successfully but it certainly helps! 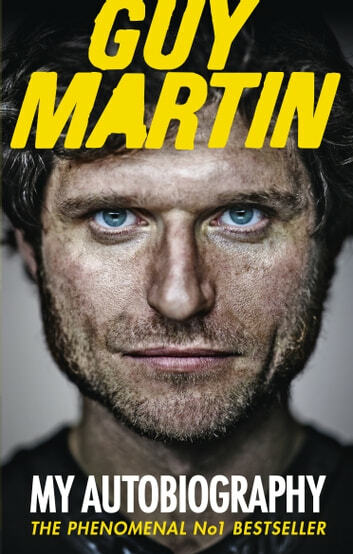 This book will be a "can't put it down" read for anyone with any interest in motorbikes, push-bikes, engineering, human endurance or fixing trucks. Here's a man you just have to admire for his sheer enjoyment of life on the edge and on his own terms. It's a book that we are fortunate to be able to read because Guy is fortunate to have been alive to write it! I have enjoyed watching guy's tv programmes throuhhout the years and have looked forward to reading this book. It didn't disappoint, learnt alot about Guy the man. Looking forward to reading the follow up book. I really enjoyed reading this book guy is a great person and funny to . 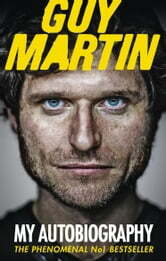 it is interesting to read especially about the TT and how he as become a fantastic racer on a bike . Brillant and you dont have to be a motorbike enthusiast to read , has something in it for everyone.